Java is an object-oriented programming language developed by Sun Microsystems in the early 1990s. Java applications are compiled to bytecode, which at runtime is either interpreted or compiled to native machine code for execution. Once it downloads the packages and begins the installation, you’ll get a screen that contains the Sun Operating System Distributor License for Java and hit Enter to continue. You’ll see a dialog that asks you if you agree with the DLJ license terms. Select Yes, and hit Enter; the JRE will finish installing. You’ll want to confirm that your system is configured properly for Sun’s JRE. This is a two-step process. First, check that the JRE is properly installed by running the following command from a terminal. E: Command line option ‘p’ [from -update] is not known. I never succeeded in running Jin from Java with Fics until I found this howto. Rad older comments, use Synaptic Package Manager solution from September(?). Use the “Broken” filter to locate it. (give password – sudo remembers for app. 10 minutes, so this is cheat to let you use sudo w/o password). Sometimes you need to run sudo apt-get -update a couple of times. I couldn’t find “select all”. Did you mean do ALL? I am new in Ubuntu and please excuse my stupidity. It is probably already selected, if not, click on it (the word then changes from normal text to bold). 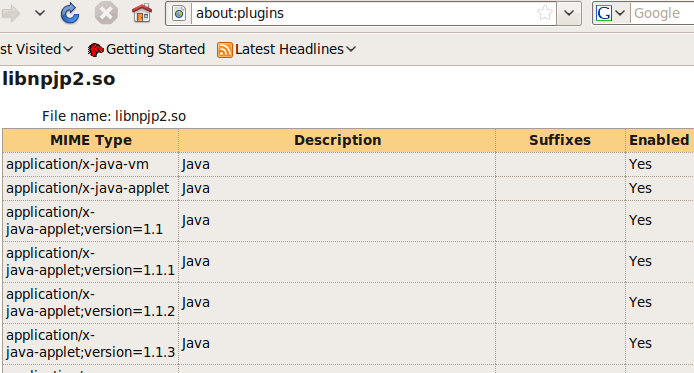 Now Synaptic Package Manager shows a list of all java-related software + probably openoffice.org. Some of them probably get selected automatically, and you select the remaining. If you haven’t installed it already, it’s a good idea to select openoffice.org too – an excellent and free M$oft office substitute. Correction: The word All is always shown in bold, click on it and it gets highlighted. John.St, Thank you so much for your help. Ubuntu is different, but it is definitely faster than Windows. Do I need to install any anti-virus, anti-spyware and firewall too? Thanks again. UBUNTU is much less vulnerable than Windows, but still vulnerable, as any PC is. A firewall is a MUST – I have some 200 attempt to access my computer per day, most of them simply erratic attempts to connect to some other PC, but 20-30 ICMPs to locate me + attempts to connect to ports which usually aren’t used for anything and thus may be left open by mistake. For the past 12 minute, at 30 sec. intervals, some idiot has been trying to TCP my port 0 (used for ICMP = ping) – poor dope. 1) Is Firestarter automatically when I turn on my PC? This is what worked for me with no problems with 9.0.4. I installed openJDK once, after Uninstalling it. I tried to install sun-java6-jdk and other stuffs, they install normally with Synaptec, but in terminal java and javac shows gij and Eclips compiler. how can I change the java’s link to correct path and where is it? Reg – you star, thankyou. I wish i’d read to the bottom of the comments before i started trying to use synaptic instead (which failed because dpkg was locked out). Thank you Thank you Thank you — worked like a dream!!! this is very helpful for me keep going and good luck.